This Avengers 2.5 inch movie action playset is the perfect backdrop to bring the world of Avengers to life. 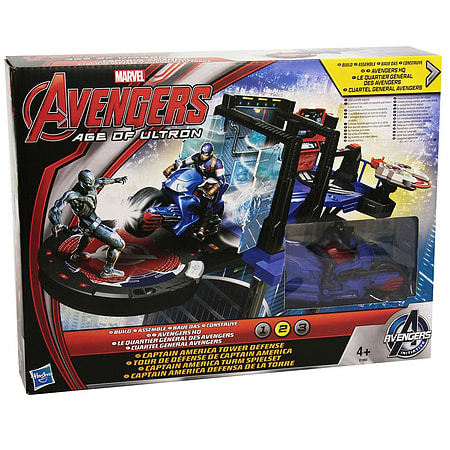 This assortment of three playsets captures key battle moments from the Avengers: Age of Ultron movie, allowing great movie reenactments or a new, imaginative story! The playsets are great alone or they can be stacked together for customized play. Playsets come with 2 figures each. The figures and deco are movie-based.